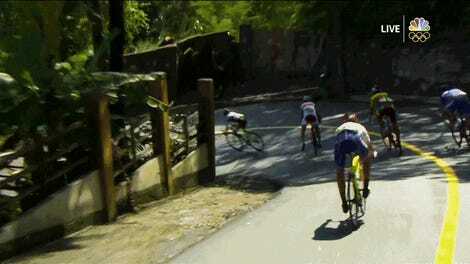 Track cycling crashes are ugly. Riders can reach over 40 MPH on their sprints, and falling at that speed can often leave you with skin burns, which half of the Australian team suffered when they crashed a week ago. 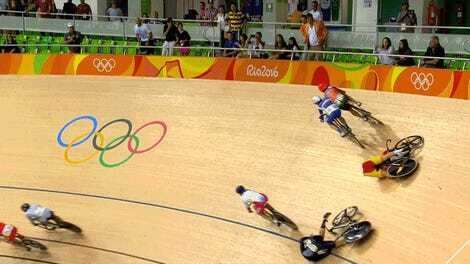 This afternoon in the points race segment of the men’s omnium, British star Mark Cavendish veered into South Korea’s Park Sang-hoon, sending him and and two other riders sprawling to the deck, including eventual gold medalist Elia Viviani. 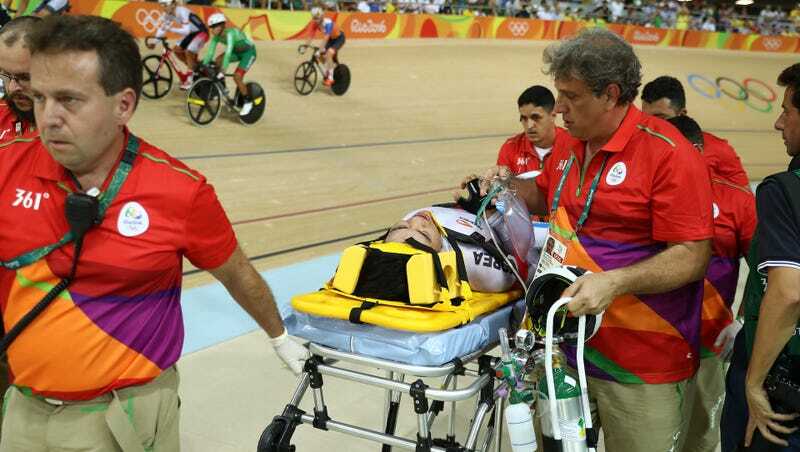 Sang-hoon had to be taken out of the velodrome to the hospital on a stretcher. Cavendish eventually took the silver medal, validating his decision to leave the Tour de France early to get ready for the Olympics. There was initial concern that Cavendish would be penalized, since the crash appeared to have been intentional, but he was not docked points.